Remember the old days when people showed up to budget meetings with reams of spreadsheets and files of paperwork and receipts and reports? For too many businesses, this isn’t relegated to the past as yet. Accounting paperwork is probably one of the biggest culprits for paper usage and it is so unnecessary in today’s online environment. High quality budgeting, forecasting and reporting software reduces the need for you to print. Everything can be stored online and anybody, with permission, can access all of that information from wherever they are, online in real time. That chaotic boardroom table piled high with paper is easily replaced by each person with their own device being able to follow along and see any changes and answer any questions right there and then. Even supporting paperwork can be uploaded to the system for ease of reference. Besides being riddled with errors, incredibly inefficient and just plain awkward, the massive waste of paper is also having a harmful effect on the environment. 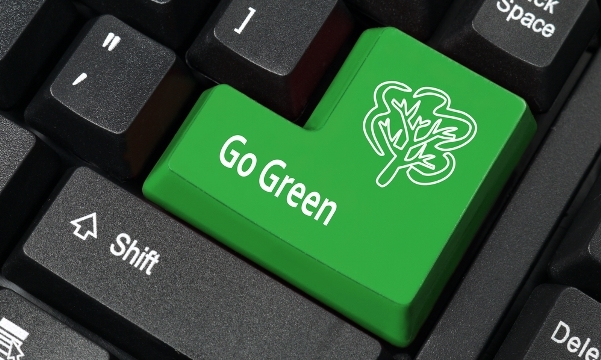 You can drastically reduce your company’s carbon footprint by simply reducing your paper usage. After potentially 100 years of growth, a single tree can only produce a finite number of reams of paper; not to mention the massive amounts of carbon dioxide released producing that paper. A single company using less paper literally makes a difference. If the many reasons to move across to specialised budgeting software weren’t enough motivation, this should certainly help. Going paperless can also save your company large sums of actual cash. Automating more elements of your business and moving across to specialised software allows businesses to reduce filing costs, data entry costs, storage costs and remove the costs of ink and paper. These savings add up and can show an impressive return on investment. Going paperless is going green and going green is the easiest way to have a lasting positive impact on the environment, feel good about yourself and, at the same time, save your business money! Financial Managers, Financial Accountants, IT Managers and Financial Administrators from across the globe will gather for two days at the beautiful and tranquil Vineyard Hotel & Spa for idu’s 7th Annual User Conference in April 2016. 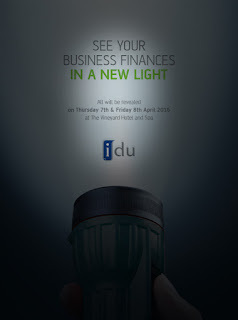 Attendees will be introduced to exciting new features and modules of idu-Concept; attend training on existing modules and learn all the tricks and tips to maximise use of the system; listen to and learn from customer case studies and success stories; and attend workshops on key topics such as Forecasting, Revenue Planning and Employee Remuneration Budgeting. CEO Kevin Phillips will share the IDU Development Roadmap for 2016 and encourage attendees to provide input to influence the final result. There will also be one on one access to IDU system experts and one on one meetings with IDU Consultants; exciting, motivational and expert guest speakers and the chance to network and exchange ideas and best practice learnings with some of the best minds in the business. This year will see a slight shake up in the conference layout, with 2 half days instead of 2 full days. The conference will start at lunchtime on Thursday 7 April and finish at lunch time on Friday 8th April, with the much-anticipated Gala dinner to be held at a yet-to-be-named location on Thursday night. The Transparency theme for this year is very much in line with idu Software’s core ethos. Recent research suggests there are three primary dimensions of corporate transparency: information disclosure, clarity, and accuracy. The idu-Concept product is designed to simplify financial information to provide full online real time access to financial and non-financial managers; leaving no room for errors, and nowhere to hide mistakes or ill-intent. The conference has become extremely popular for its impressive and entertaining guest speakers and this year is no different. Max du Preez is the first speaker appearing on day 1, a veteran journalist, political commentator and newspaper columnist known for his consistent refusal to be politically correct and for his honest analysis of the latest political trends and analysis, which he usually illustrates with telling anecdotes, along with a fascinating talk on South African history and its relevance for us today. Day two sees awe-inspiring mentalist and corporate speaker Gilan Gork, using his 18 years’ experience to impart valuable and potent skills in being able to both read and influence people, helping you to become more influential with clients and colleagues. Registration opens on Monday 25 January and there are limited spaces that fill fast every year, so pop a reminder in your diary now!